Download your free copy of our "Preparing for Your First PCI QSA Assessment" white paper. The major credit card brands require companies that accept their cards or process cardholder data to comply with the Payment Card Industry Data Security Standard (PCI DSS). For companies handling large volumes of transactions, that compliance is enforced through an annual PCI assessment performed by a Qualified Security Assessor (QSA). Unfortunately, companies are often unprepared for these formal assessments. Lack of compliance preparation typically complicates and extends the auditing process, results in expensive, unplanned remediation, and adds significantly to the expense of achieving and maintaining PCI compliance. How can IT leaders properly prepare for the PCI QSA assessment? 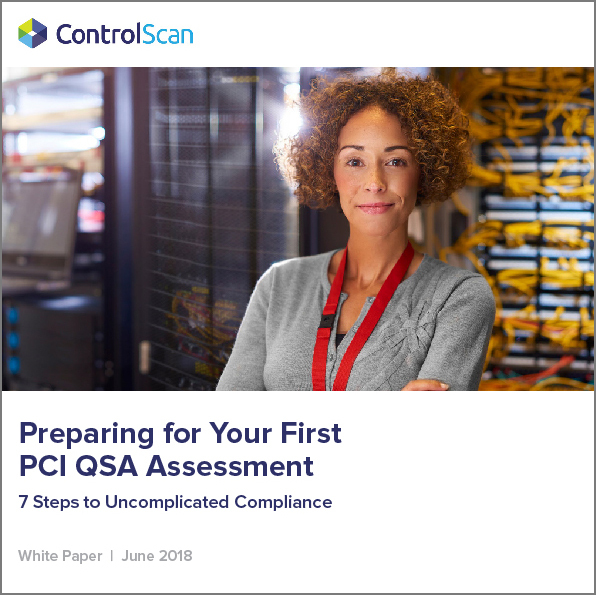 The seven key steps to a PCI-compliant assessment. Also included are two case studies illustrating the right way and the wrong way to approach a QSA assessment. Submit the form to the right for your free access to this educational white paper!